Your Account Hello, Sign In! Grab Your Ammunition and... Go! This is 50 Cal. 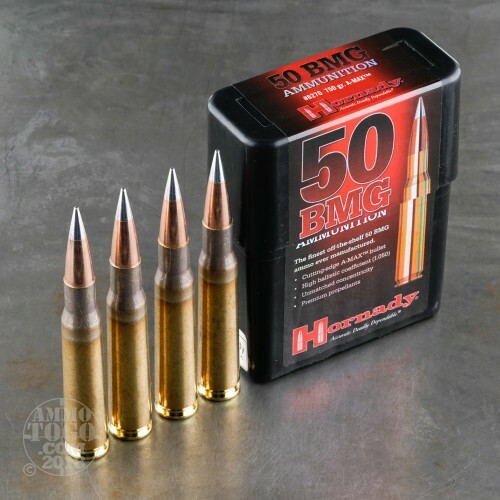 BMG Hornady 750gr. A-Max Match Ammo. Now 50 Cal. match shooters have a factory load with the accuracy, consistency and record-setting potential of a hand load. The 750-gr. 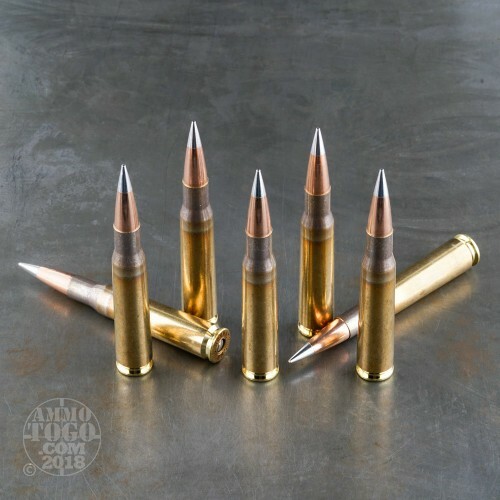 A-Max bullet combines aerodynamic shape, an extremely high ballistic coefficient, unmatched dimensional concentricity and optimum stability to achieve the closest thing to perfection in flight you can buy. 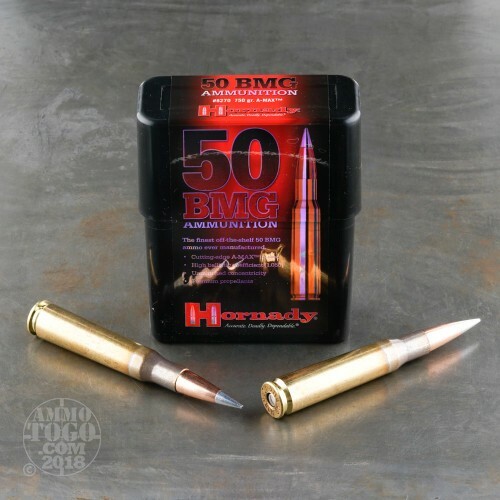 Hornady has taken the technology of the A-Max bullet and turned it into a 50 caliber Match cartridge. With a muzzle energy of over 13,000 ft. lbs., this loaded round creates destructive potential, but is extremely accurate and consistent at the same time. This ammo is brass cased, boxer primed, non-corrosive and non-magnetic. Comes packed in a 10rd. plastic box. Muzzle Energy: 13,194 ft. lbs. Awesome food for my AR50! 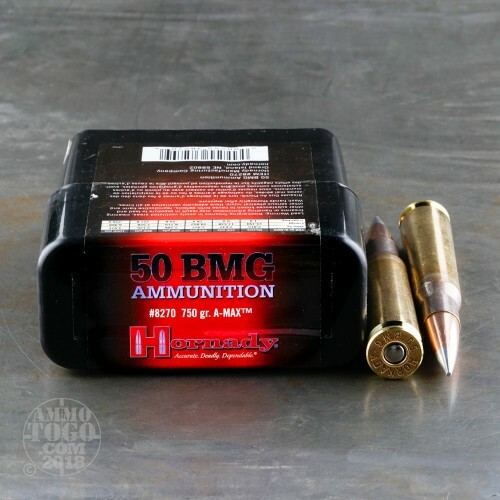 THANKS AMMO TO GO! Thank you for being part of the AmmoToGo community! We are constantly evaluating our suppliers and our products, and your feedback is very helpful in doing so. By including your email address below, we are able to follow up with you, help solve any issues, and learn from you what our community likes and doesn't like.